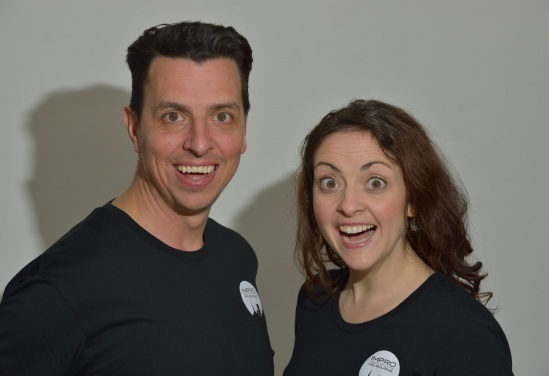 Michael Veitch’s Flak and Impro Melbourne coming to secondary schools in term 3! It’s getting closer to crunch time for VCE Students, and the Education & Families department have some great programs that will be rolling out in term 3 to help students achieve their best possible results. Perfect for Unit 2: Non-naturalistic Australian Drama and Unit 4: Non-Naturalistic Solo Performance, renowned Australian comedian, author and broadcaster, Michael Veitch will be performing his standout one-man performance for students. Based on a life-long passion and research, Flak tells the tale of five extraordinary true stories of combat, courage and survival as experienced by men in the air force during World War Two. Impro Melbourne will also be taking their VCE Unlocked: Impro and Non-Naturalism program to schools, with a 90-minute practical workshop using Improvisation methods as is a key tool in performance creation. From a stimulus, students will be guided through and armed with, a step-by-step process of how to use brainstorming, improvisation, editing and refining in order to create their best possible VCE work. There is still time to book these and other fantastic Education & Families programs for students in term 3. For more information contact the Education & Families department, or alternatively, for more information on each individual event, you can visit the Education Events page. Michael Veitch in his non-naturalistic solo performance Flak, and the team from Impro Melbourne, are out to help students unlock the secrets of VCE drama success!